Joe Jonas Confirms He’s Marrying Sophie Turner This Summer In France! Just say bonjour to Mrs. Sophie Turner Jonas! Joe Jonas confirmed in an interview with the Zach Sang Show that he and his “Game of Thrones” bride Sophie (aka Sansa Stark) will say “I do” this summer in France. Apparently, the need for beer is all because there was a massive shortage during Nick Jonas’ extravagant wedding to Priyanka Chopra in India last year. “We learned a lesson from my wedding. Our friends drink a lot of beer, specifically, and we ran out of beer at the wedding, at my wedding, which was a big issue,” Nick explained. While the location in France is still unknown, it’s guaranteed to be an absolutely stunning affair. Joe and Sophie, 23, announce their engagement in October 2017 and are set to wed this summer. The duo previously announced that they also have some very important people going them up near the alter. Sophie’s “Game Of Thrones” co-star Maisie Williams will be a member of her bridal party. And it’s basically a given that the Jonas Brothers will all be standing by Joe’s side this summer. 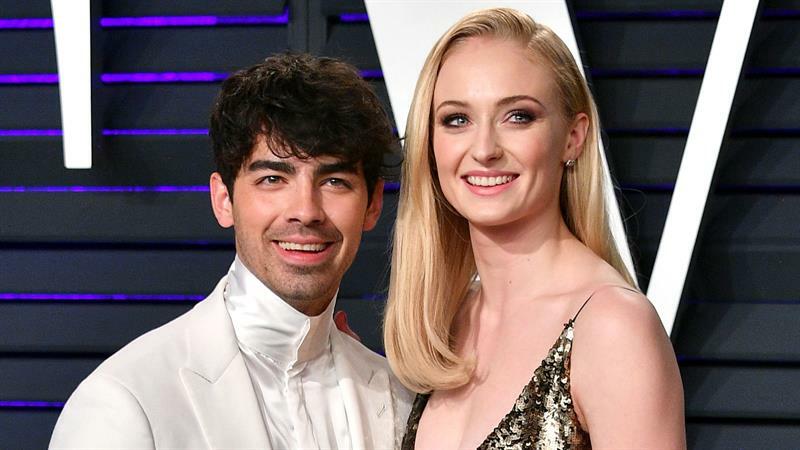 With the “Game Of Thrones” finale season officially underway and the Jonas Brothers reunion official — it’s only a matter of time till the wedding!